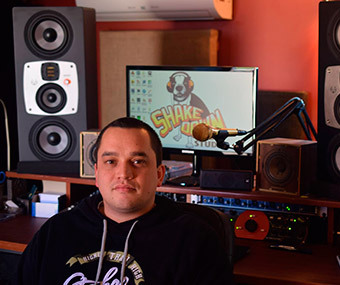 Rob Shaker is an Australian DJ and has been actively involved with the Australian hip-hop scene since 2000. In 2001, Rob started DJ'ing and making beats live for a group called "Full Proof", with AMC and Grims, and later formed a group in 2004 with Squared and Wolverine called "Figures of Speech". Their first album was released in 2005 entitled "Roll of the Dice". 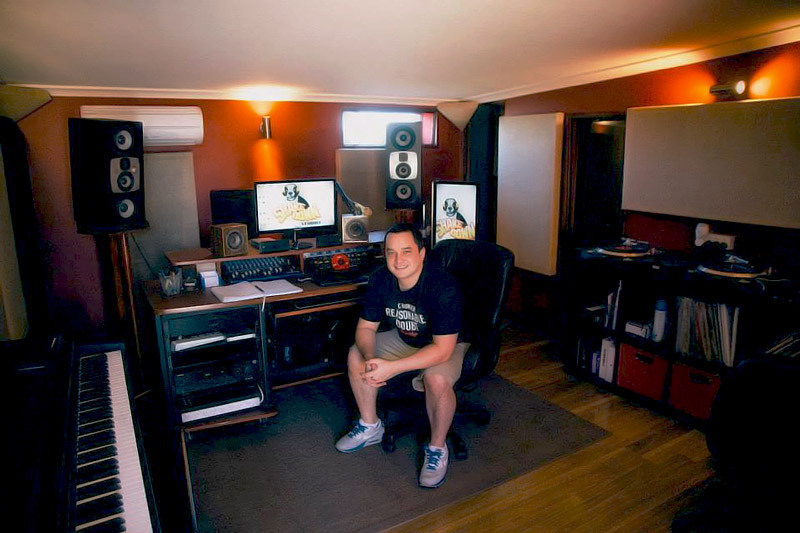 In 2003, Rob completed an Advanced Diploma in Audio Engineering at SAE, and later that year got his first DJ and promotions job at the "Sapphire Bar" in Subiaco where many local hip-hop and breaks artists were playing. Since 2003, Rob has technical and production discography of 63 individual projects; 40 of which have been in the last 2 years! He has competed in the annual production competition "The Beatdown" since its inception in 2007 and finally won the competition in 2012. 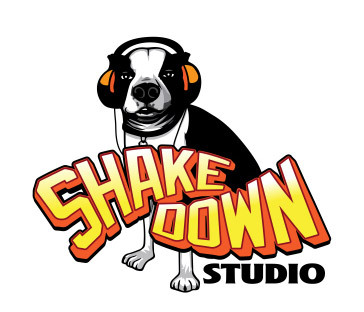 Since 2006 Shaker has actively promoted shows for acts from interstate and abroad bringing many iconic acts to the masses in Western Australia. In 2012 and 2013 Rob won the OzHipHop awards for "Head of State WA" (editor's note: WA = Western Australia) and in 2013 he also took out best DJ. 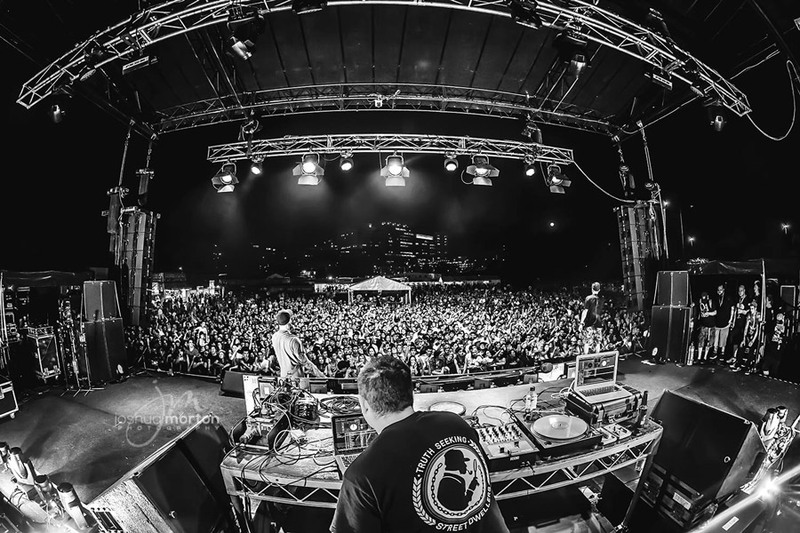 As a DJ or turntablist, Rob has done live work with dozens of MC's from around the country including Drapht, Mr. Grevis, Bitter Belief, Bias B, Reason, Maggot Mouf, Bigfoot, Tuka & Ellesquire, Ozi Battla, Grey Ghost, Optamus and many more. 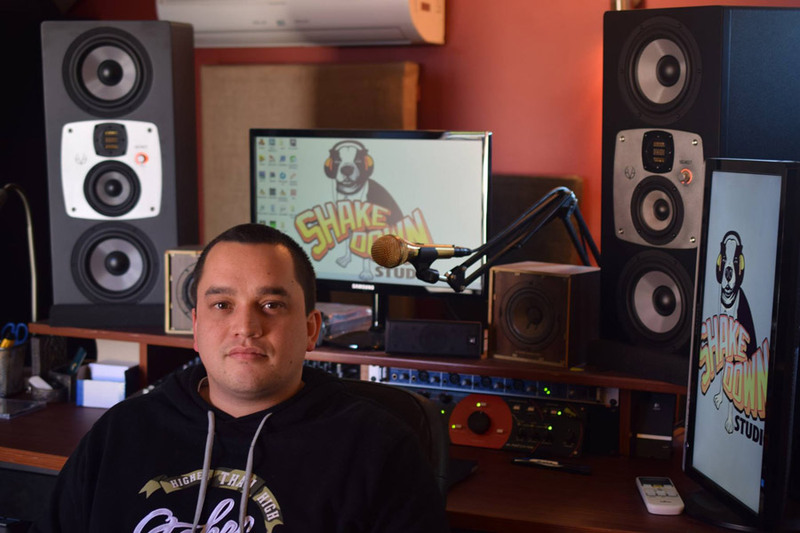 Shaker has become a professional musician since 2011 with work as Drapht's touring DJ, which saw him tour around Australia several times, as well as working from his own studio "Shake Down Studio" recording, mixing, mastering and making beats. 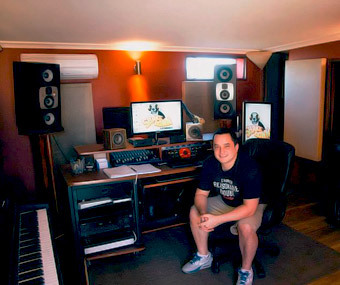 Rob has done studio work for artists and features including Bitter Belief, Mr Grevis, Creed Birch, Hyjak, Adam Crook, NFA, Nick Sheppard (The Clash), Seth Sentry, Maundz, Raven, Dazastah, Optamus, Grey Ghost, Layla, Drapht, Downsyde, Hunter, Mortar, Graphic, Tomahawk, The Tongue, Pez, Apathy (US), Mantra, Purpose, Matt Gresham, Illy, Grandmaster Caz (US), Sean Strange (US), Michelob (US), Copywrite (US), RA The Rugged Man (US), Solomon Child (US), Chino XL (US), A.G. (US), The Engineer (Canada), Chase, TY (UK), Sonny Jim (UK) and many others. 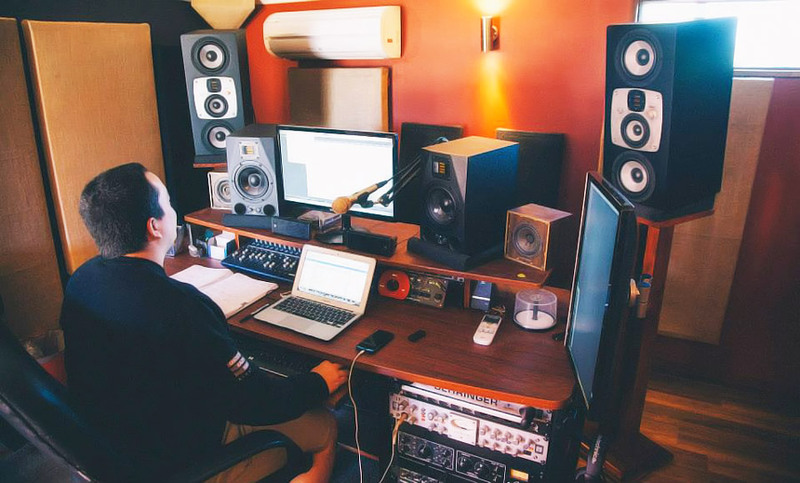 Recently, after shopping around for an upgrade to the monitoring setup at "Shake Down Studios", Rob chose the EVE Audio SC407's. 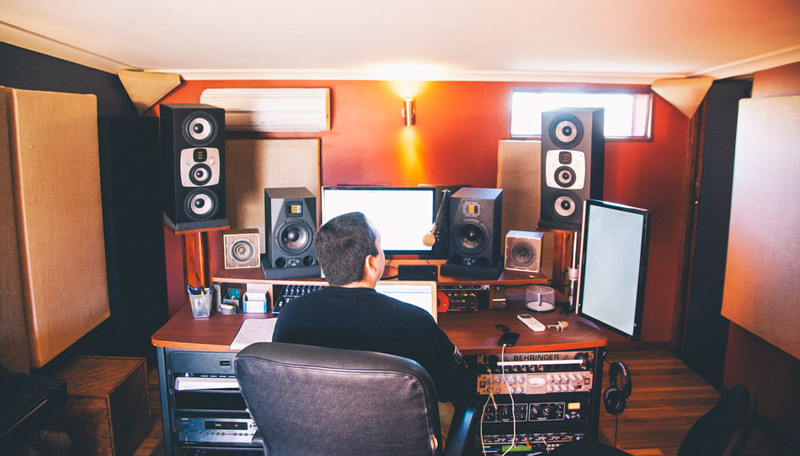 Rob says, "After upgrading to the SC407's I feel like I'm listening to my mixes for the first time. Amazing separation, and stereo imaging and they can reproduce the low end with ease."